This are impression trays that are used for bite registration and counter impressions. They have a thin mesh which doesn’t tear with ease. The handles are ergonomically designed. It has a unique design that is very thin and it doesn’t break when the patient closes. The registration trays are disposable and safe for use. 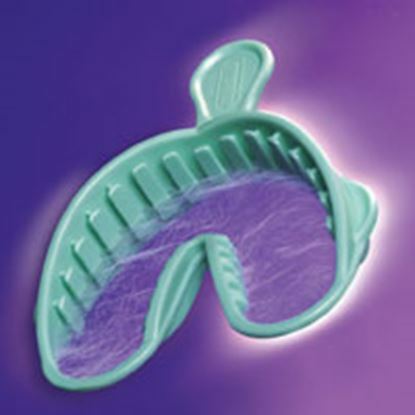 Premier Dental is the manufacturer of Alfa triple trays. It is designed to with a thin mesh to provide markings whenever you bite. It has two innovative trays that are used with alginate or substitutes such as VPS and the tray are designed to fit well to avoid need of holding using your hand. Triple Tray delivers precise and accurate dual-arch dental impressions efficiently and at affordable prices.